Exciting news! I was recently awarded a contract with one of the top manufacturers in the aviation industry! 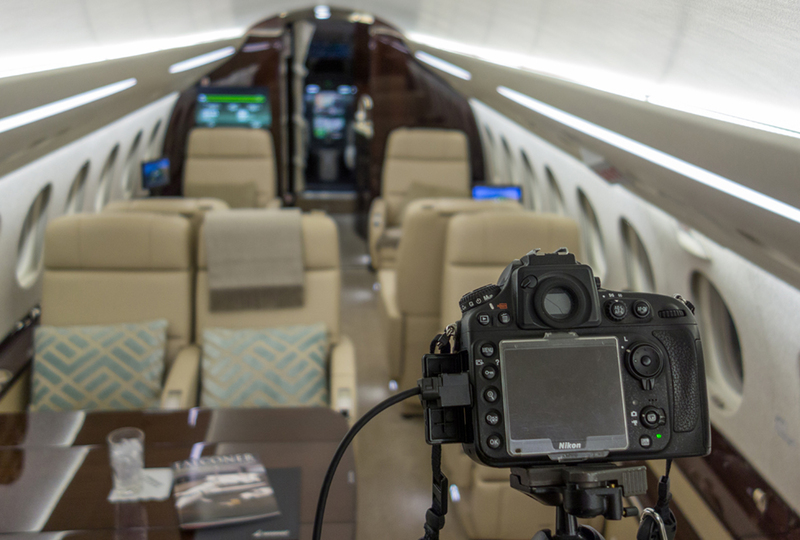 In the past month, I've already had the privilege to photograph half a dozen private jets. Over the last several years I've been able to do more and more work in the aviation industry. I'm thankful for the opportunities and really enjoy the people and the planes. Aircraft present several challenges to photograph them well and I love that challenge! This week was the convention I mentioned in the last post. Imaging USA. WOW! What an event that has become. Over 10,000 professional photographers all in one location with one goal in mind. Education! There were tons of exhibitors in the trade show with a lot of great new products. International Print Competition displays and much, much more! Seeing old friends and making new friends is always a big part of the adventure as well. Just as I had hoped, I came home energized and inspired and ready to make this year the best one yet! Already have Imaging USA 2016 marked on my calendar! In the world of commercial photography, I am blessed to get to do a variety of things. Rarely are any two days the same. Recently I have worked for a variety of clients such as a wholesaler for nails used in the wooden pallet industry (talk about a niche market) Business portraits for a local college and for a large funeral home chain in the area. Earlier this week I was able to travel to Northeast Arkansas and learn about a huge, three part project in the chicken feed, growing and processing industry and shoot bunch of related photos for a business publication. I really love what I do, can you tell? In any industry it is important to continue your education. In fact, some industries even require a minimum number of hours of continuing ed. While the photography industry does not require it, there are a lot of options throughout the year to continue to learn and grow. This week I have the opportunity to attend Imaging USA. Imaging USA is the largest convention and trade show in the photography industry. This week we're in Nashville, TN at the lovely Gaylord Opryland. Seeing a lot of great new equipment, software, backgrounds and techniques. Getting to visit with friends from all over the country really is a nice bonus as well. Hoping to pick up some great ideas and come home in a couple of days excited and motivated and able to give you, the client the very best imagery possible!